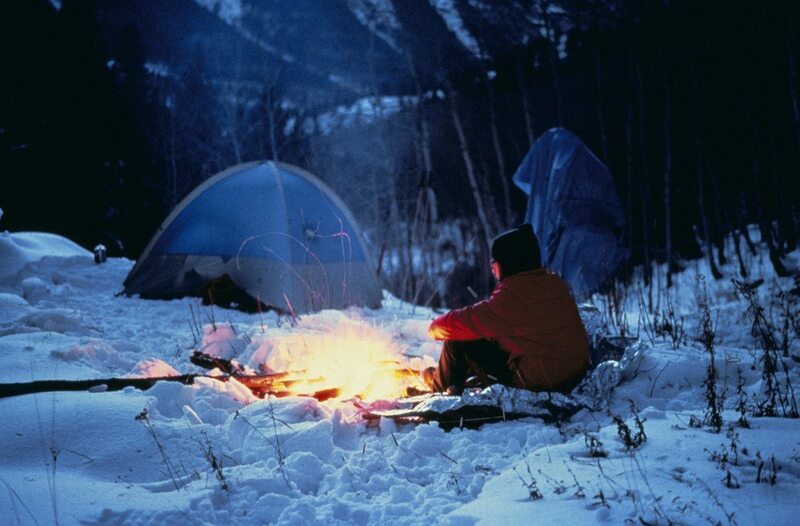 Winter camping and backpacking can be exhilarating. Looking out a beautiful winter wonderland and experiencing the true essence of winter is an amazing experience – one that can turn sour pretty quickly if you’re not prepared for it. To protect yourself from the cold it is important to pack the proper clothing – and enough of it to be prepared for the worst. It’s important to stay warm and dry so pack clothes that will layer and are breathable, insulated and, most importantly waterproof. The clothes you wear while backpacking in the winter are split into three layers – base layer, middle layer and outer layer. Your base layer is, as the name suggests, the foundation of your clothing layers. Base layers should be moisture wicking, synthetic fabric that covers your core, arms and legs. This will keep sweat away from the skin where it could cause fluctuation of body temperatures. Your middle layer will keep your body warm and retain heat. Wear things like fleece lined pants and long sleeve shirts over your base layer. This is where the majority of your warmth is going to come from on cold days and nights on the trail so be sure that it’s comfortable for your time at the campsite and while you’re out hiking with your pack on. Finally your outer layer (or shell) should be something that can shield you from the cold. Ski and snow jackets are a perfect example because they’re insulated but they also can act as a wind breaker so that the wind doesn’t blow through and chill (or even freeze) the other layers you’re wearing. Wearing the right clothes is paramount on any hiking trip but can mean the difference between dangerously low body temperatures and an enjoyable hike during the winter. Be sure that you’re dressed appropriately and get out there and enjoy it!